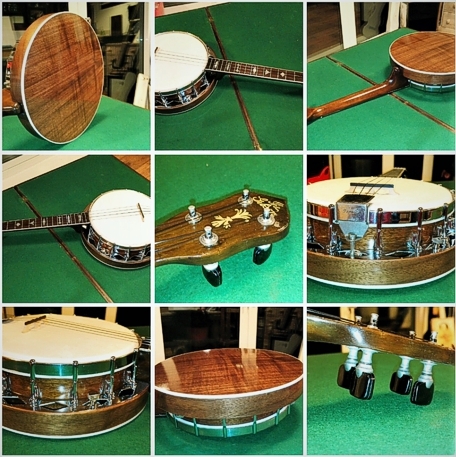 Vintage Gibson UB4 - a long scale banjo-uke, gives a bit more space for the fingers! Recently fully restored with replated metalwork. 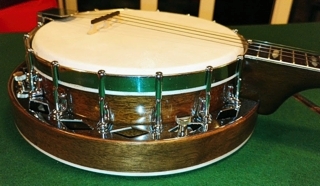 The resonator is new, and is an accurate replica of the original, made with American black walnut. The instrument has been refinished, and the resonator is a good match to the rest of the uke. Set up with Galli strings and new skin. This is a stunning example of a rare and famous vintage model, owned in the past by professional musicians Andy Eastwood, and before that, Sean Moyses. I imported it before restoration. Buyer to collect or pay shipping/insurance from Cleveland, North East England (UK). Willing to ship overseas.